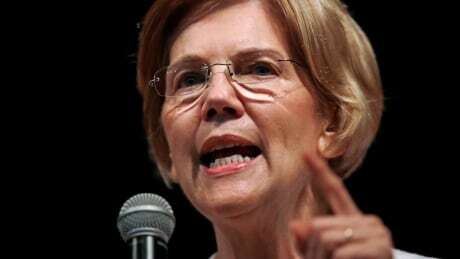 U.S. Sen. Elizabeth Warren has released the results of a DNA analysis that she says indicates she has some Native American heritage, a direct rebuttal to U.S. President Donald Trump, who has long mocked her ancestral claims and repeatedly referred to her as "Pocahontas." The Massachusetts Democrat and potential 2020 presidential contender challenged Trump to make good on his pledge to donate $1 million US to charity if she provided proof of Native American heritage, a moment that was caught on video. Trump falsely denied ever making the offer. The analysis was done by Stanford University professor Carlos D. Bustamante, a prominent expert in the field. He concluded that the great majority of Warren's ancestry is European, but added that the results "strongly support" the existence of a Native American ancestor. In his report, Bustamante said he analyzed Warren's sample without knowing the identity of the donor. He concluded that Warren's pure Native American ancestor likely lived six to 10 generations ago, and that it was impossible to determine the individual's tribal connection. If Warren's Native American ancestry were six generations removed, it could mesh with an 1894 document the New England Genealogical Society previously unearthed suggesting Warren's great-great-great-grandmother, O.C. Sarah Smith, was at least partially Native American, making Warren 1/32nd Native American. The Boston Globe, which first reported the results of the DNA analysis, noted that if Warren's ancestor were 10 generations removed, she would be only 1/1,024th Native American. Such a finding could potentially further excite her critics instead of placating them. Warren on Monday also released a video produced by her Senate re-election campaign. In it, she said: "The president likes to call my mom a liar. What do the facts say?" The senator released personnel files earlier this year seeking to dispute critics who have charged that the former Harvard Law School professor advanced her law career with a narrative she is a descendant of Cherokee and Delaware tribes. In a tweet directed at Trump, Warren said: "Remember saying on (July 5) that you'd give $1M US to a charity of my choice if my DNA showed Native American ancestry?" She went on to request that the president send a check to National Indigenous Women's Resource Center. In an interview with The Associated Press in 2012, Warren said it was "family lore" that had convinced her of Native American ancestry. She said her mother and father were forced to elope because of her mother's heritage. Warren faces Republican Geoff Diehl, who co-chaired Trump's Massachusetts presidential campaign, in the Nov. 6 election.